Quote from Degats : Scawen, are the /CP values correct for the second image? Correct, that was wrong and is fixed now if you go back to the page. We've done a new image for the same /cp values. Last edited by Scawen, Sat, 27 Oct 2018 17:06 . Quote from mbutcher : It always had a 40 car grid no? No just Blackwood Westhill and Rockingham. Thanks ! Indeed : this is crazy to see the evolution !!! Excellent job again Mr Eric !!! Quote from Scawen : Correct, that was wrong and is fixed now if you go back to the page. Thanks for the update and thanks for the comparisons! Looks awesome. The image of the game is not very bright in some places? especially the roads are very uncomfortable. Other than that the quality is satisfactory. what i see as a first is the corkscrew. it seems to be levelled out a bit more than old(current) is? i find it a little bit hard to see even with comparison pics. even though you did make some nice angles from it in screenshots. love the little tent on the corner in the end though. i also see some new added stationary cars. will these be in editor at some point ? atleast that would be cool if so. all in all it looks like you have been very busy indeed. and yes i see the backroads too. that would be really nice to get those too some day after it all has been updated. is ground off track driveable then ? thinking of those who makes lyts going over fences. or is that also low priority untill the final release ? im sooo gonna miss the old track again. but also hoping i eventually will get used to it aswell as i seem to have been with WE , BLW too about now. (i will). thanks for showing us these Scavier. Yes change fps, you know..
i get your point with this. i too have been thinking that on some gravel pits for some time. but i also think its made as is so you actually have a chance to get out of it or maybe it was made like so in the past for AI´s to get out? not sure really. but i think that could be a more easy fix after everything is updated, sort of like the backroad thing. i also missed some deeper gravel pits a long time. but perhaps we will see some rally tracks coming some day and this could be a reality to be made aswell. you could make it a suggestion ? i dont see that would hurt. I have hoped that South City is the next but ok.
Quote from Stölzel : I have hoped that South City is the next but ok. This 2 meters. Is this at one to one scale? this NEWDIMENSION RACING still exists? Been away for 8 months on LFSforums and I am glad to see that the game is changing. Keep up the great work, I am genuinely happy about the progress. 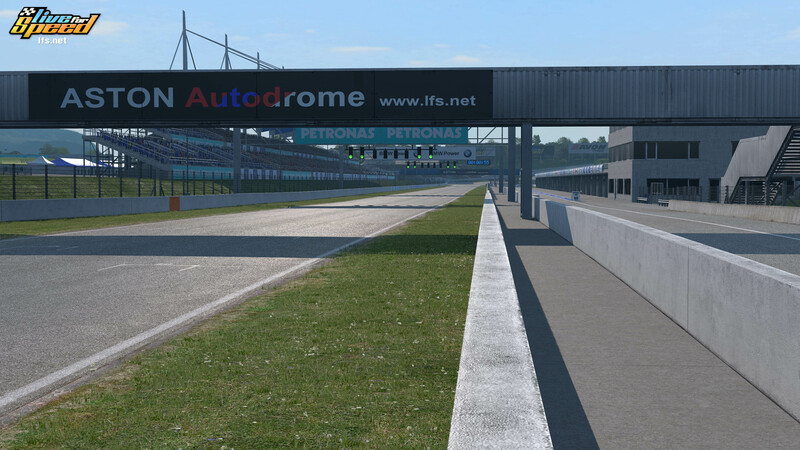 Even though it will never be like it used to be back when NDR and Genuine Racing held races, it would be definitely nice to hop on LFS one day once we will be able to say that a new era has started to take its shape. Even if I was one of the individuals who hated on the progress of LFS, I am truly happy to see that you guys are still working on the game. It just shows that you are really passionate about what you do, even if it doesn't match the standards of today's gaming industry (which is what I appreciate because it keeps the true and loyal people in this community still around and cheering you on for what you are trying to achieve). Great work, a bright future is ahead. Quote from The_Great : this NEWDIMENSION RACING still exists? Because simply this is a simRacing simulator and not city driving. To be able to have this content in LFS this has nothing to do with LiveForSpeed. Scawen continue with this beautiful work I believe that LiveForSpeed will have a great future! @Eric: Once again: very impressive work and another big step for the look and visual appeal of Live for Speed. Can not wait to finally get on the "new" tracks / layouts. This forum badly needs a like button . Great work Sca(vi)er, glad you still believe in this project. Love these reports. Looks really good! I'm looking forward to the challenges the new updates will bring. I think the new layouts will change the driving style in many ways.